As NDP leadership candidates prepare to debate for the fourth time on Sunday, how is the race to replace Tom Mulcair as leader shaping up? 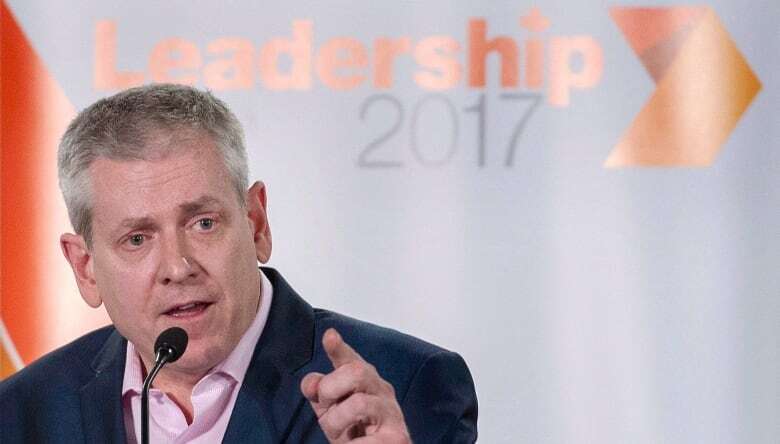 Charlie Angus is the leading fundraiser, but what impact will Jagmeet Singh have on the campaign? 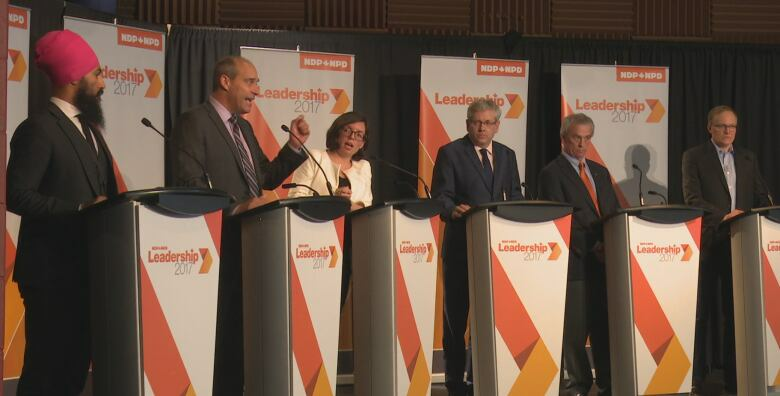 The five candidates running to replace Tom Mulcair as leader of the NDP will gather in St. John's on Sunday for the fourth debate of the campaign. The contours of the race are difficult to discern at this point. Fundraising data is already more than two months old and excludes Jagmeet Singh, who entered the race last month. No polls of NDP members have been published (yet). In Jagmeet Singh, is Canada ready for a non-white leader? In April 2016, when Mulcair lost the vote on his leadership that launched this campaign, the party numbered about 45,500 members. According to several campaigns, speaking with CBC News on background, the party's membership was not much bigger a year later, numbering about 50,000 card-carrying members. That number will undoubtedly grow by the time votes are cast in September — the Conservatives nearly tripled their membership over the course of their leadership contest. The New Democrats will select their next leader using a one-member, one-vote system. Members will be able to submit a ballot ranking their preferences and will also get the opportunity to cast a ballot in up to four weeklong rounds of voting after the first results are announced on Oct. 1. CBC News will have live coverage of the NDP leadership debate in St. John's on cbcnews.ca, Facebook and CBC News Network, starting at 2 p.m. ET Sunday. The race is on for the five candidates in the running to sign up as many members as they can. But they will also need to woo the party's existing base. That base is largely confined to two provinces: Ontario and British Columbia. In 2012's leadership vote, these two provinces accounted for 59 per cent of members and that share is unlikely to have diminished. In fact, the importance of B.C. in the leadership race is only likely to grow, with the B.C. New Democrats on the cusp of forming government (the NDP shares provincial and federal memberships). Alberta, where the New Democrats have been in power since 2015, is another significant player in the contest. Quebec, despite being home 16 of the NDP's caucus of 44 MPs, is unlikely to have many more members than either Saskatchewan or Manitoba, both in the midst of provincial leadership races of their own. Fundraising data to March 31 suggests Charlie Angus has the advantage in regional support, at least among his rivals who got into the race before Singh. He was the recipient of 64 per cent of individual contributions given to leadership contestants in Ontario. His fundraising strength was not just concentrated in Northern Ontario, where his riding of Timmins–James Bay is located. Angus also dominated in funds raised in Toronto, another important base for the New Democrats. But Singh, who represents the GTA riding of Bramalea–Gore–Malton at Queen's Park, could put some pressure on Angus's Toronto-area support. Angus's fundraising strength in B.C. and Alberta was weaker, though he still ranked second in both of these provinces. But overall, Angus's edge over his rivals was significant. He was responsible for 55 per cent of all money raised by NDP leadership contestants in the first quarter of 2017, excluding the $25,000 that Guy Caron and Niki Ashton each donated to themselves. Almost all of that came from Ontario and B.C. — but that's not a problem when that is where most of the members are. Ashton dominated fundraising in her home province of Manitoba, with 75 per cent of the contributions there. She took half of contributions made in Alberta and placed second in Ontario, though well back of Angus. Peter Julian also showed that his strength is largely regional, taking 48 per cent of contributions in British Columbia. Julian struggled elsewhere but was second in Quebec (and first in Montreal, though just narrowly ahead of Ashton). The B.C. MP was second in total fundraising since he first entered the race, excluding the money donated by Ashton and Caron to their own campaigns. He placed fourth in the first quarter of 2017, but he may have tapped out his donor base at the very end of 2016, when most of his funds were raised. In Quebec, Caron was the recipient of funds from 46 per cent of all donors, ahead of the rest of the field. He placed third or fourth everywhere else, however. Though Singh is seen as one of the front-runners in the race, it is impossible to gauge the appeal or regional strength of Singh's campaign without any fundraising data. But being an MPP in the GTA and deputy leader of the Ontario New Democrats gives him an important network in the member-rich province. 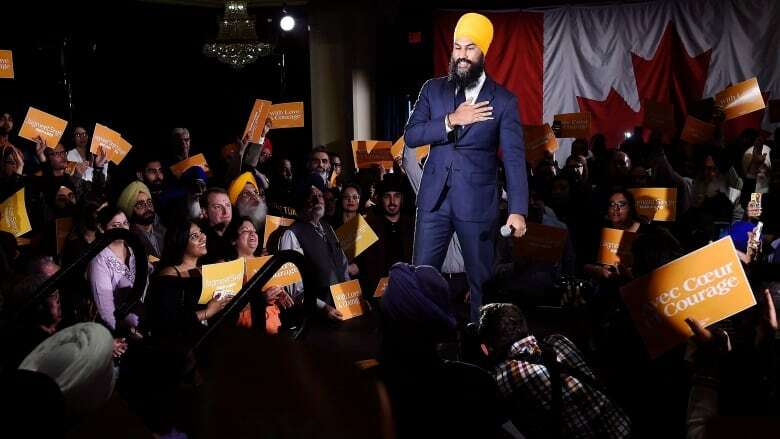 Singh could also make significant, and potentially decisive, inroads among the politically-organized Sikh community, where he might also have cross-party appeal. This is one way in which the traditional political map of the NDP could be overturned. But like the Conservative leadership vote, the next leader of the NDP might not be the choice of a majority of members — at least at first. If the contest gets to that point, multiple-round voting will require candidates to be members' second (and maybe third or fourth) choices in order to win. The fundraising data does not suggest which candidates are likely to be fishing from the same pool of voters. Donors who contributed to multiple candidates have, so far, spread their money around rather evenly. It adds to the mystery of how this leadership campaign will unfold. The next release of fundraising numbers will not be until July 31. What data is available suggests that Angus looks to be in the best position and Singh is a wildcard. But with four months to go before the first ballot results are announced, this race remains anyone's to win. As Jagmeet Singh steps forward, is Canada ready for a non-white federal leader?